Perfect cricket trophy to reward batting achievement, these figures are made in durable resin and have a bronze colour finish with gold colour highlights. They feature a detailed figure of a (male) batsman with bat resting on his shoulder. 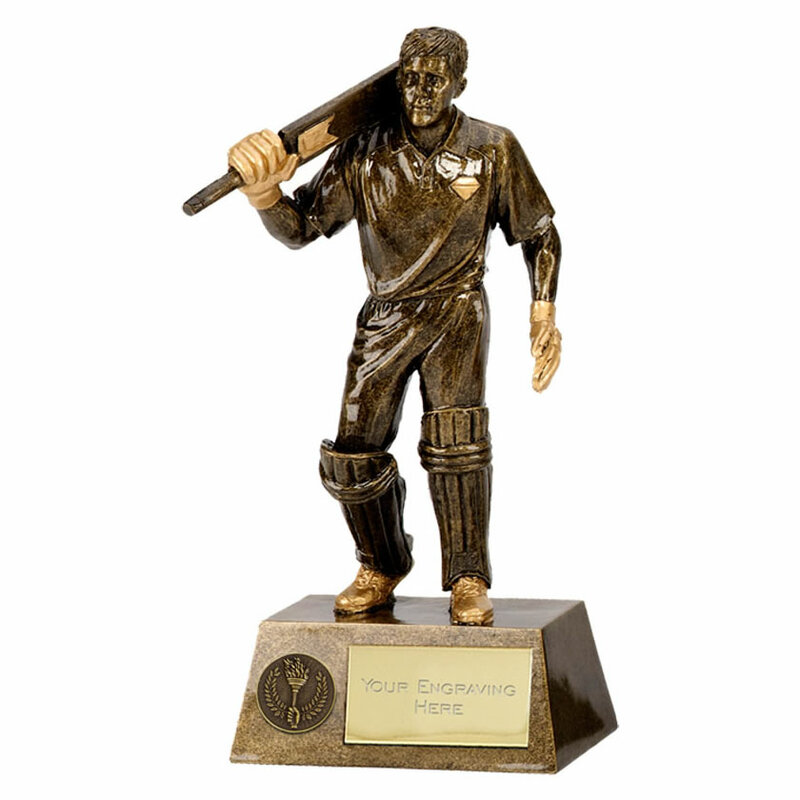 Available in three sizes, these cricket batsman trophies are set on a bevelled base with engraving plate and offered with text and/or logo engraving options.